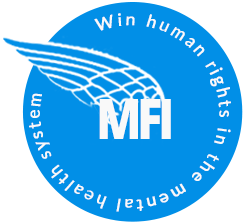 MindFreedom International (MFI) - Win human rights in mental health! Gabriel Hadd MFI Shield issued a public alert that young musician and artist Gabe Hadd was under court-ordered involuntary outpatient psychiatric drugging in Michigan. Members in Colorado offered personal support. Gabe successfully escaped over state lines and evaded the forced psychiatric drugging in his own home. You can hear Gabe's music at www.myspace.com/gabrielhadd. Hugh Massengill Hugh Massengill, psychiatric survivor and MFI member, addresses opening session of City of Eugene, Oregon, USA conference on Choice in Mental Health Care as a Human Right at the University of Oregon. 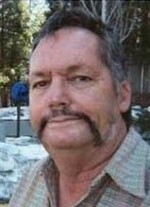 Tom Wittick Thomas E. Wittick is an MFI member who named one of the first psychiatric rights movement activist groups in this era in the USA. 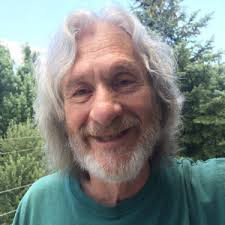 Tom chose the name "Insane Liberation Front" for the influential group that began in Portland, Oregon, USA in 1970, and he organized along side the infamous Howie T. Harp. 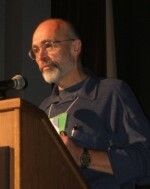 Tom is shown here at the MindFreedom Action Space inside the Alternatives 2006 Conference in Portland, Oregon. Jim Gottstein Jim Gottstein is a psychiatric survivor who is also a Harvard-trained attorney, and founder of MindFreedom Sponsor Group PsychRights. Jim blew the whistle on Eli Lilly by releasing their secret documents about the psychiatric drug Zyprexa to The New York Times. Jim is also president of National Association of Rights Protection and Advocacy (NARPA) a founding Sponsor Group of MFI. 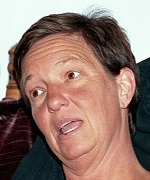 Laura Prescott Laura Prescott is the President and founder of Sister Witness International Incorporated. The organization focuses on addressing the multiple forms of violence and retraumatization in the lives of women and girls who have been institutionalized in psychiatric and criminal justice settings. 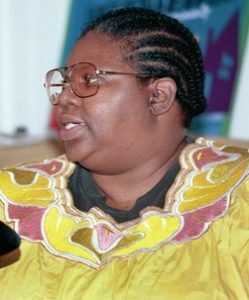 Dorothy Dundas While institutionalized for three years as an adolescent in the 1960's, MindFreedom member Dorothy Washburn Dundas was labeled a "schizophrenic" and forced to undergo 40 combined insulin coma-electroshock "treatments." Dorothy says, "I experienced and witnessed many atrocities. I believe that luck, determination, and my own anger and one compassionate advocate were my best friends on the road to my ultimate survival and freedom." Through a number of op-ed pieces, she has voiced her opposition to abusive psychiatric practices. Her poster, "Behind Locked Doors," which she created from her hospital records, is used in training programs. Dorothy lives in the Boston area where she has raised her four wonderful children. She founded and is the sole driver in her "safe, friendly and reliable" car service called The Crystal Lake Express. Peter Lehmann Peter Lehmann of Berlin, Germany serves as one of the MindFreedom International representatives with the United Nations, and is a long-term supporter of MindFreedom campaigns and activities. Peter is a psychiatric survivor who has worked passionately for decades in Germany, Europe and internationally with a variety of groups for significant change in the mental health system. 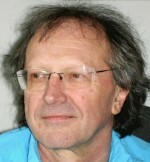 Peter is editor and publisher of a variety of books challenging human rights violations in the mental health system and promoting alternatives. His most recent book (co-edited with Peter Stastny, MD) is called "Alternatives Beyond Psychiatry." This book provides chapters from 61 leaders in changing the mental health system, and is available in the MindFreedom Mad Market. Leah Harris Leah Harris, a second generation psychiatric survivor, discovered MindFreedom in 2000 when she was 25 years old. Her first act in the mad movement was to tell her story of oppression and resistance, and to help edit stories for MindFreedom's Oral History Project. 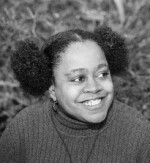 Since then, she has been working in various ways to help achieve the vision of MindFreedom: an end to all forms of psychiatric oppression, healing of all forms of "normality," and the creation of vibrant, colorful communities that honor and celebrate diversity, difference, and the full range of human experience. Cindi Fisher Cindi Fisher has fought for years for her son, who has experienced forced psychiatric drugging and other human rights violations in the State of Washington. She has even held protest fasts on her son's behalf (see photo of Day One). Cindi says: "In the past, advocating for my 33-year-old psychiatric survivor son over the years has been very frustrating and has sometimes felt hopeless! Now, as a member of MindFreedom, I feel I have the voice of thousands to join me. My effectiveness and awareness as an advocate has indeed multiplied a thousand times. Thank you David and MindFreedom for your many years of work to build such a powerful and empowering organization!" Ron Unger Ron Unger LCSW is both an human rights activist and a therapist who specializes in alternative approaches for "psychosis." Said Ron, "As a young person, I had my own experiences that could have been labeled 'psychotic' but got through them without mental health system intervention. I am proud to be a member of MindFreedom, the world's leading coalition fighting for radical reform in the mental health system!" Ron created MFI's "Truth Injection Campaign." You can find out more about Ron's views on his blog [see 'related content' link below image view]. 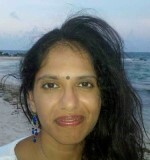 Bhargavi Davar, PhD Bhargavi Davar is a survivor of psychiatric institutions who is working in Pune, India, with a Ph. D. in the philosophy of psychiatry. Dr. Davar is an author of several books and articles critiquing the foundations of psychiatry in India. She said, "MFI has been a great source of inspiration for us in India, particularly the unique international efforts in consistent reporting on globalising psychiatry as an EMERGENCY." Tsuyoshi Matsuo, MD Tsuyoshi Matsuo is a physician who worked in a psychiatric institution in Japan for four years and witnessed how terribly the patients are treated. 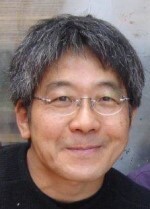 Dr. Matsuo said he was glad to be an MFI member, "Because I believe MFI is trying to straighten out the mental health system which is insane. I'm proud to be part of the movement to straighten it out!" Loretta Wilson I joined MindFreedom after learning about the Ray Sandford campaign. It was so good to find a group with a common goal. Feeling the support, knowing I'm not alone has been very comforting. It was such a relief to find this organization. Keep up the good work! I am a survivor of 58 electroshocks with a strong desire to see electroshock abolished. I am willing to talk to anyone who is willing to listen. I have even talked to some who don't want to hear about it! I had post-procedure pain from my electroshock. I struggle daily with memory loss from electroshock. I am 69 years old, widowed, mother of 5, grandmother of 7 and great grandma to my new baby girl, 'Sophie.' She's beautiful! 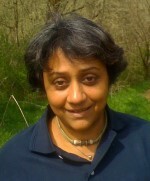 Geetha Rathnamala Geetha says, "I am an Indian-American psychiatric survivor from Pittsburgh, Pennsylvania. I am proud to be a MFI member because I believe in the power of individuals working together to bring about a better world in which uniqueness, fundamental human rights, and different states of consciousness are treasured." MindFreedom launched a MindFreedom Shield campaign against the involuntary psychiatric drugging and lock-up that Geetha experienced in 2010. Chuck Hughes "I find inspiration and mental support in MindFreedom," says Chuck. 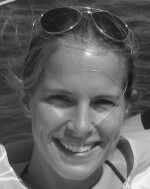 "I like associating with like-minded activists for human rights in mental health. When I go into a Board or Commission and say I am a member of MindFreedom International. It gives what I say a lot more validity and my voice carries a lot farther. My first of eight involuntarily institutionalizations was at age 23. I have witnessed much injustice in mental health. 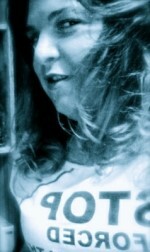 I have been involved with the user and survivor movement since 1992. My goal is to help stop forced outpatient psychiatric procedures, seclusion, restraints and other human rights violations, psychiatric abuse and torture. Of particular concern is the elimination of forced electroconvulsive treatment (ECT) on people of all ages." 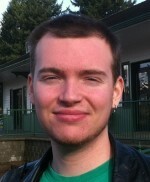 Levi Chambers Levi Chambers is a sociology student, organizer, and psychiatric survivor working toward mental health justice in Olympia, Washington. He said: "I am a member of MFI because the organization fights for my rights more effectively than groups with funding from big pharma. My family and I stopped supporting those groups, and have been MFI fans ever since." Levi believes in community mental support, non-pathological and non-chemical treatment alternatives, and declines to use psychiatric labels. Currently a 22-year-old college student involved in the Icarus Project and a member of MindFreedom International, Levi hopes to become a researcher who works to gain scientific acknowledgment for alternative recovery models. 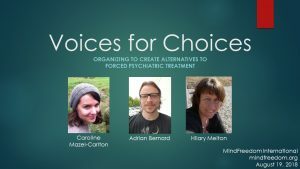 If you would like to work with Levi to fight discrimination, build alternatives to conventional psychiatry, and demand a non-violent revolution in mental health in Washington State, please contact him. 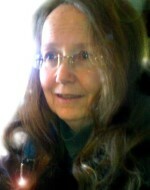 Lynne Salvi Lynne M. Salvi [1963 - 2011] was an activist with MindFreedom Lane County. 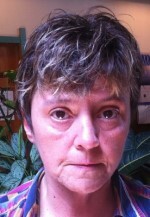 She experienced 24 years of human rights violations in the mental health system. Lynne said, "Since finding MindFreedom and becoming a member, my life changed dramatically. I found many people who understand through experience without words. MindFreedom feels like a reunion of family I never knew before. This connection and encouragement give me the courage to speak out. I am grateful to find myself using those painful experiences to help others. Today I am medication-free and psychiatrist-free for the first time." See "Related Content" below for writing by Lynne. 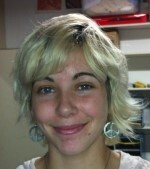 Samantha Johnson Samantha Johnson is a 22-year-old psychiatric survivor who is interning at the MindFreedom International office. "I was absolutely in disbelief at how the people were treated at the hospital. It was an environment of emotional abuse interspersed with 'treatments' and 'policies' that could be more accurately described as assault. The tragic thing is that there really are some good people working there, but they are unable to provide people with the help they need inside a system that prioritizes profits over people. It might take five years of counseling for someone to truly recover from a mental health crisis, but it takes five minutes to tranquilize them. This is why I started working with MindFreedom. For 25 years MFI has been challenging the mental health system to see us as human beings- to treat us as human beings- through peaceful activism. At MFI we emphasize individual choice, empowerment, and compassion as necessary aspects of a true healing process." Paula Joan Caplan, PhD Paula Caplan, PhD: Psychologist, author, playwright and activist who is challenging the harm caused by psychiatric labeling. 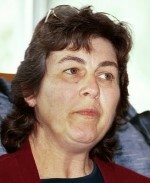 Paula is a long-time member of MindFreedom International. 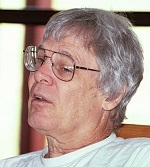 Author of 12 nonfiction books. 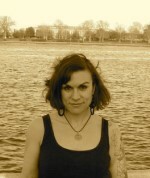 Her latest book, "When Johnny and Jane Come Marching Home: How All of Us Can Help Veterans," uncovers the way too many people traumatized by war are told that that makes them “mentally ill.” Her book won the 2011 American Publishers Award for Professional and Scholarly Excellence (PROSE Award) in the Psychology category. 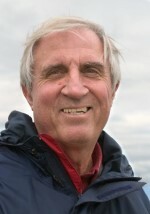 Al Galves, Phd Al Galves of New Mexico is an author, retired psychologist and long-time activist for human rights and humane alternatives in the mental health system. 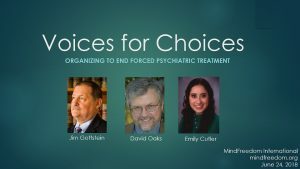 He is on the Board of Directors of MindFreedom International, and now director of an MFI Sponsor Group, International Society for Ethical Psychiatry and Psychology (ISEPP). Amy Smith From her home in Colorado, Amy Smith provides leadership for the movement to change the mental health system in a variety of ways, from events to art work for the Occupy American Psychiatric Association peaceful protests by MindFreedom International. Amy is a psychiatric survivor, who has been psych drug-free since 2008. She is the former director of Colorado’s statewide consumer organization, and the creator of RISE University, an education program designed to illuminate the experience of labeled individuals and their families. Caitlin Belforti Caitlin is a survivor of maltreatment of Adelphi University's student counseling center. A young adult new to the movement, Caitlin hopes to continue to her involvement in the psychiatric survivor movement and bring more attention to an issue that is all too prevalent and all too ignored. Also an actress and a poet, Caitlin hopes to use the medium of performing arts to spread awareness, and to reach fellow survivors. She says, “Many thanks to the support I have received so far from the cool crowd that is MindFreedom!" Caitlin is speaking at the MindFreedom International peaceful protest of the American Psychiatric Association in Philadelphia, OccupyAPA 2012. Harry Bentivegna Lichtenstein Harry is a MindFreedom Member and coordinator of MindFreedom NYC affiliate. 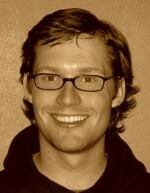 He is a New York City poet, runner, health enthusiast, teacher, and employee of Gary Null & Associates in Manhattan. He received his MS from Howard University, Washington, DC and BA from Hunter College, CUNY. 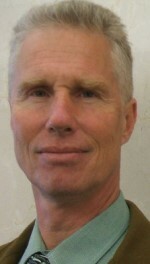 Dan L. Edmunds, EdD Dr. Dan L. Edmunds is a psychotherapist specializing in drug free relational approaches for autism and developmental differences and extreme states of mind. 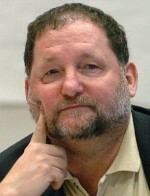 He is the founder of the Center for Humane Psychiatry, an emancipatory movement for human rights in the mental health system. 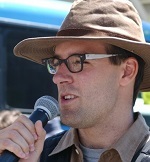 Dr. Edmunds is speaking at the MindFreedom International protest of the American Psychiatric Association in Philadelphia on 5 May 2012. Aki Imai Aki Imai is a 25 years-old Japanese graduate student who studies Clinical Psychology in Ohio. In conjunction with MindFreedom International, Aki launched a submission-based blog, Life After Labels for people to submit stories about overcoming difficulties in receiving psychiatric diagnoses. 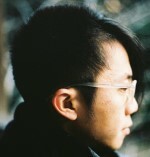 Aki spoke at the 5 May 2012 Occupy APA peaceful protest of the American Psychiatric Association. 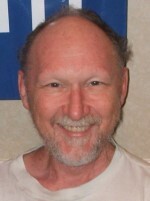 Frank Blankenship Frank is a long-time activist, blogger and protester for human rights in the mental health system, and founder of MindFreedom Florida. Frank chairs the MFI Affiliate Support Committee. 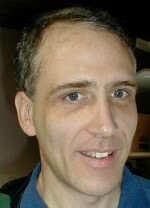 Check out his blog Lunatic Fringe, highly critical of the mental health industry abuses. LaTonya Gibbs LaTonya says, "I love working for such an 'insanely supportive' organization. MindFreedom is a touchstone for a lot of different commissions that are fighting for human rights, both locally and internationally. This is also an office that practices what it preaches. The director and staff are intent on not letting its members or it's employees lose themselves while trying to 'make a living', if we can help it. We're all human beings and that comes first here." LaTonya works in the MindFreedom office and is a mental health consumer. MindFreedom International is happy to announce the rejuvenation of our website! Would you like a free one-on-one mentor to help you win rights?